Twenty-something Holly has moved to Brighton to escape her grief. But now that she's here, sitting on a bench, listening to the rolling waves, how is she supposed to fill the void her boyfriend left when he died? She had thought she wanted to be on her own. But after a chance encounter with retired, part-time baker and book-club host, Frank, she is soon adopted by a new circle of friends, and the tides begin to shift. 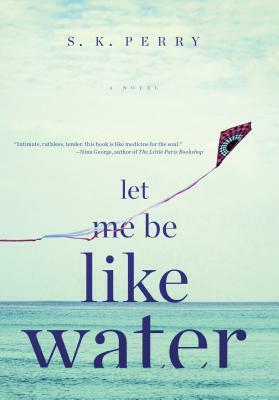 Beautifully written, Let Me Be Like Water is a moving and powerful debut about loneliness, friendship, the extraordinariness hiding in everyday life. S. K. Perry was longlisted for London's Young Poet Laureate in 2013 and is the author of the poetry collection Curious Hands: 24 Hours in Soho. She lives in London and Let Me Be Like Water is her first novel.